Stable and dependable electrical power quality is essential for any company that operates computerized equipment, including companies with in-house servers or a data center. The point-of-sale (POS) terminal and credit card reader on the sales counter, the cable modem, the facility secuirty system, and the enterprise servers are just a few examples of IT equipment that are common to a vast majority of companies. Most companies are therefore dependent upon the electrical power quality from the local electrical utility company. 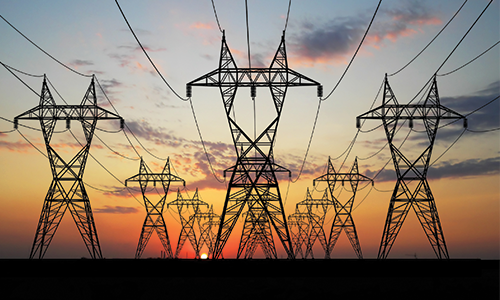 Electrical power quality is characterized by the number of occurences and the duration of each occurrence of several types of electrical power events that affect electrical power consumers. Events such as brownouts, electrical transients, over-voltages, and service interruptions can result from many things, such as lightning, downed power lines, or electrical utility equipment switching or failure. Any number of these events can cause the IT equipment to reboot, or worse, resulting in delays in operations, lost data, and even in lost revenue. Most importantly, in addition to designing a custom solution to meet your exact needs, Tecnova can manufacture your system in-house at a lower cost than an off-the-shelf product, which may provide features (and cost) that you don't need or that may lack key features you want. In addition to Tecnova's experience developing custom Power Quality Monitoring solutions, Tecnova engineers have decades of experience and are named in multiple patents in the design, deployment, and support of electrical power distribution switching, protection, and monitoring equipment. Tecnova engineers have designed electrical power switchgear next to a nearby shopping mall, and at the top of an electrical power utility pole near you.